A sauna is available for a small break. 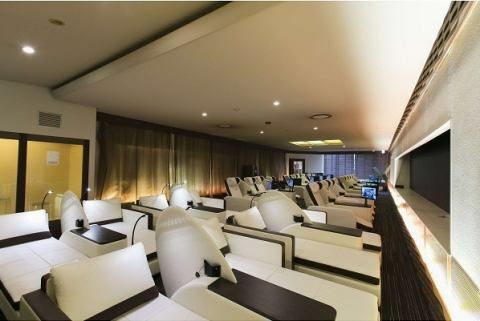 sauna, relaxation time of the customer is supported with a relaxed reclining seat with LCD TV set for each seat in each seat. Of course you can also use the restaurant. "I will soak in the bath and drink a cup after going home and go home. It's very luxurious! Would you like to see such a luxury ???" As time also varies according to customers, you can use it in your favorite time zone, that is the sauna plan. Of course it is 24 hours. Drops old horny and waste products, enhances relaxation effect such as promotion of metabolism and recovery from fatigue. 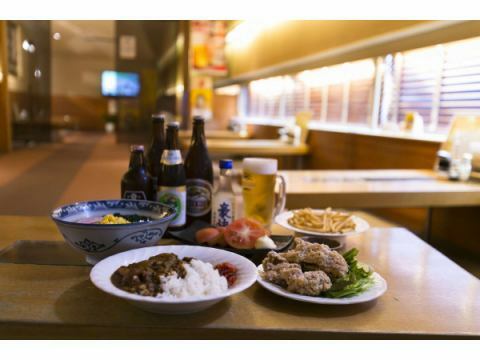 After bean sprout, you have cold beer at the 5th restaurant? 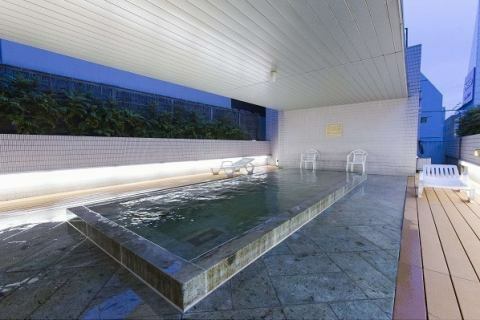 This will be the acceptance of this sauna&Sauna & Capsule Hokuoh! 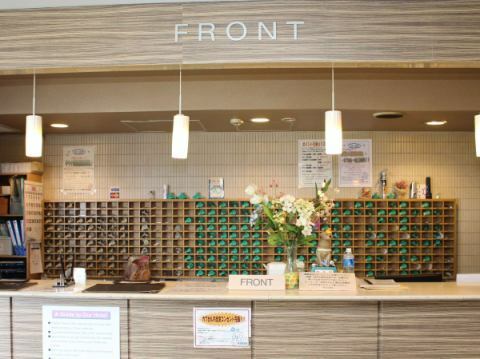 We will try to keep customers checking in and checking out smoothly. We do charge rental of charger here and we keep your valuables and luggage. We also sell underwear, socks, Y-shirts and contact preservatives. Please talk about anything such as questions about facilities in the facility. "Popular massage at an affordable price!" We are pleased to inform you the best relaxation at our affordable price to our customers. You can use it with a plan that matches your tiredness such as whole body massage and foot massage. 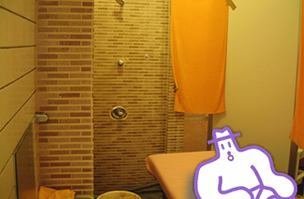 All of our full-time staff will assure you that the service by the Japanese staff will massage you. You can nominate all of the above. In that case a nomination fee of 200 yen will be charged separately. I made a quieter space than before. The reclining seats are equipped with LCD TVs in all seats, so you can see it without worrying about your favorite channel. You can drink tea at will (free of charge). Relax in the new space. In addition, it is non smoking in all seats.In smoking, please use smoking room. "Satisfied with drinking! Full of dishes!" The hotel has a restaurant in the 5th floor and we are preparing Northern European cuisine from common dishes. For sake, beer and shochu are commonplace, sake (sake) and wine are also available, and there are also bottle keeps of whiskey & shochu, so I think that you can use it for those staying for a long period of time.There are also menus such as set meals and lunch, time-adapted menu, recommended item (blackboard menu), etc. 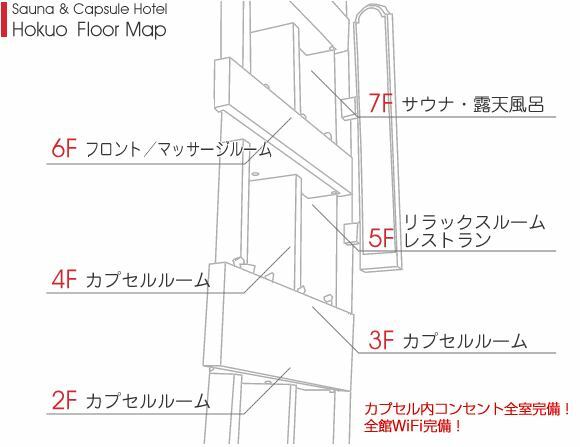 I think that you are sure to be satisfied with the person who likes alcohol, people who are hungry, so please use the 5F restaurant when using. 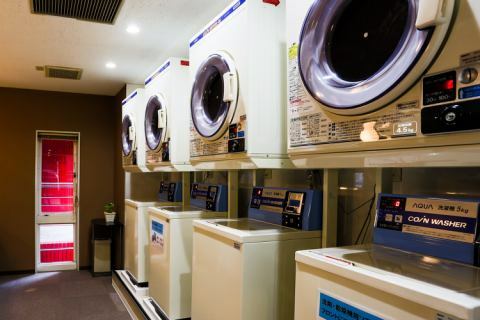 There is a coin-operated laundrette in the 4th floor. From detergent 50 yen, we sell at front desk. We provide guest sleep in clean facility. 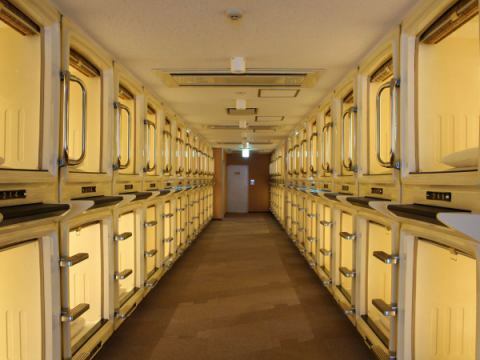 Approximately 200 capsule rooms in our hotel 2F - 4F are made one size wider than ordinary capsules, so we can relax relaxedly with the bigger one. Inside the capsule, TV, as well as alarm clock and charging outlet are equipped. On the capsule room floor there are lockers for customers, powder rooms and juice vending machines, and customers who smoke cigarettes also have a smoking place to relax. "Please have a relaxing break with a spacious floor, clean and quiet space." Inside the capsule all the rooms are equipped!